The Income Tax department also reported many suspicious cash withdrawals that had so far escaped the notice of the authorities. The regional office of the Income Tax Department on Wednesday revealed that large amounts of currency had been deposited in banks in the weeks leading up to the elections, giving rise to suspicions of a possible cash-for-votes scandal. 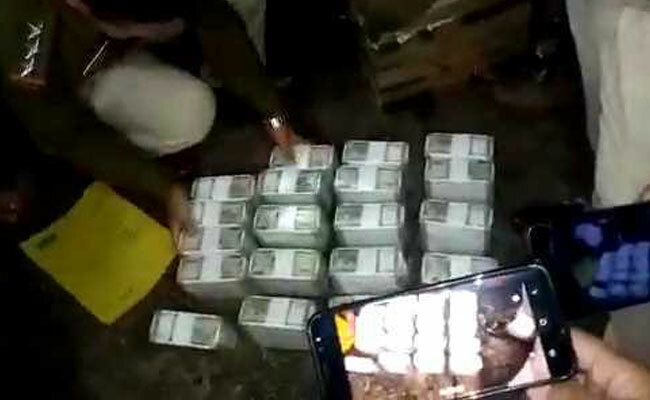 The press release issued by the tax authorities came hours after Rs 1.8 crore in cash was seized from a BJP convoy in Arunachal Pradesh's Pasighat on Tuesday night. According to the press release, investigations found that banks were possibly being used as conduits to hide and move suspicious cash. The data procured so far is limited only to transactions involving five major banks in the region over the last 10 days. "Even from this small sample, hundreds of suspicious cash deposits and withdrawals in banks for amounts over Rs 10 lakh have come under the scanner. Inquiries have been initiated in about 200 cases so far," said Income Tax (Investigation) Principal Director Sanjay Bahadur at a press meet held in Guwahati. Mr Bahadur said over 150 officials have been deployed across the Northeast to monitor 112 districts and 12 airports since the date of notification of the General Elections-2019. He also highlighted the importance of expenditure monitoring during the elections. The Election Commission of India has requisitioned the services of the Directorate of Income Tax (Investigation) North East Region under Article 324 of the Constitution of India to monitor election expenditure as a means to "curbing the use of black money in the elections". The directorate is gearing up for a massive investigative exercise in coming days, with data from over 100 banks across the Northeast likely to arrive soon.